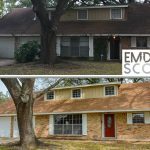 We would love to answer any questions you may have about selling your home quickly in Texas. Fill out the form with your information and we will get back to you. Please fill out the form to get your cash offer immediately. Someone will contact you in order to set up a time to see your home.